A lightweight, cotton-linen jacket: it's what warm evenings were made for. Traditional tailoring is reflected in the details, including peak lapels and pockets. This piece has a relaxed, unstructured fit and a dash of contrasting colour under the collar. 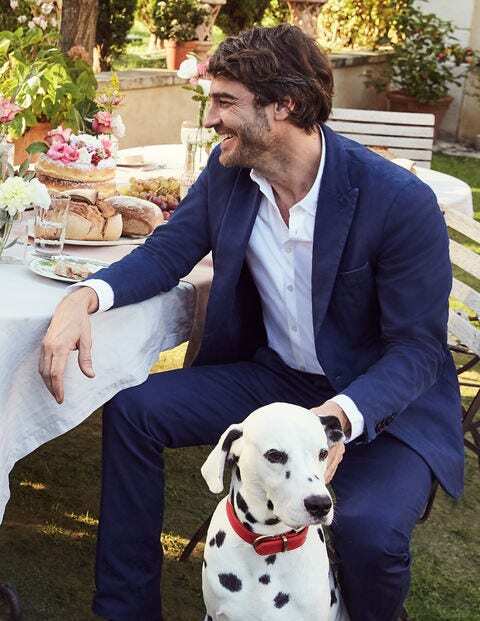 Pair it with a shirt, our cotton-linen trousers and a G&T for a summer event.